For your wonderful support of Mary Poppins and fantastic feedback! 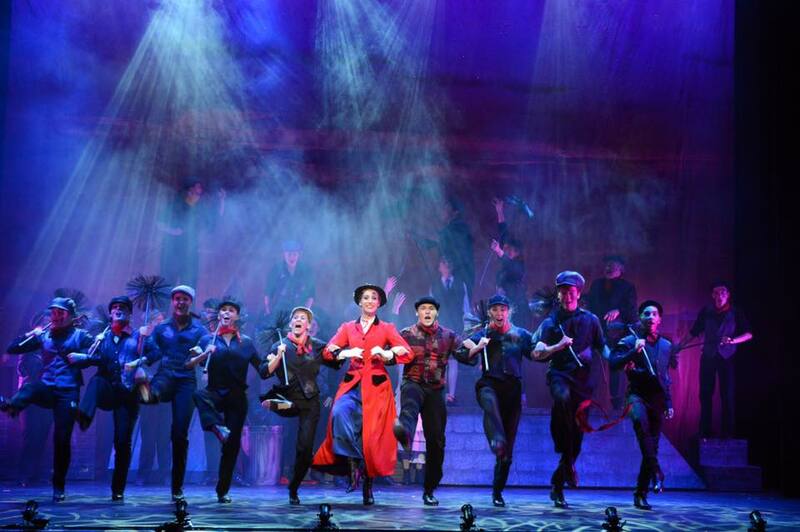 The excitement of Broadway came to the Theatre Royal in January 2018 with Hobart’s community theatre premiere of the worldwide musical theatre phenomenon – Disney and Cameron Mackintosh’s MARY POPPINS: THE BROADWAY MUSICAL. Based on the children’s books by P.L. Travers and the much-loved 1964 Disney film, this highly-acclaimed musical introduced us to the charming and intriguing nanny Mary Poppins – who describes herself as “practically perfect in every way” – when she enters the lives of the Banks family and changes their world forever. Our production of MARY POPPINS delighted audiences of all ages with its magical heart-warming story, beautiful sets and costumes and glorious music including the classic favourites A Spoonful of Sugar, Chim Chim Cher-ee, Let's Go Fly a Kite and Supercalifragilisticexpialidocious! Proudly presented by The Show Company Tasmania, MARY POPPINS was brought to the stage by the same creative team and producers behind 2017's smash-hit production of WICKED, which earned a record-breaking ten Tasmanian Theatre Awards nominations and went on to win five Errols, including Best Production. Thanks for being part of the magic of MARY POPPINS!